Android software updates are nice, but it’s even better when an upgrade turns your device into a remote PlayStation 4 screen. The Sony Xperia Z2 and Z2 tablet join the Z3 in letting you blast aliens or score touchdowns by connecting a PS4 controller. Each week we gather up all the major software updates for the biggest devices; phones and tablets on U.S. carriers (and unlocked phones, of course), wearables, and round them all up so you don’t miss a thing. Making sure your device installs the latest software is a good housekeeping practice, ensuring you have the latest features, close security holes, and squash those pesky bugs. 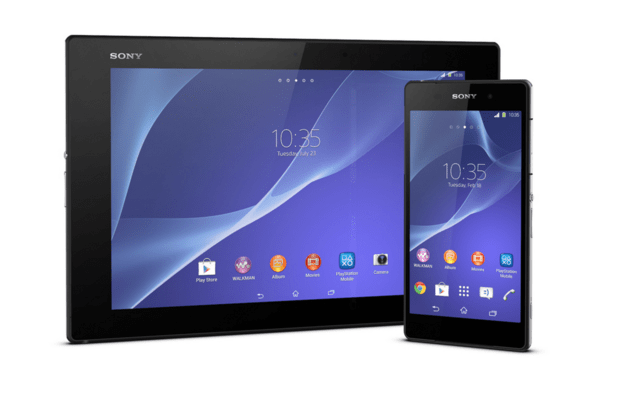 Xperia Z2, Z2 tablet: It’s a pretty massive update overall, bringing not only the Playstation gaming tools but many other Sony-specific features, all wrapped up in an Android 4.4.4 KitKat package. With Remote Play, you can play nearly any game from your PS4 console with a supported mobile device when pairing it with a PlayStation DualShock 4 or DualShock 3 controller. The PS4 is essentially using screen mirroring to let you do this, which is a clever feature Sony can leverage as it tries to get astronger foothold in the U.S. market. Sony’s update also includes “Hi-Res” audio support, which is supposed to step up audio quality. The devices also now talk to Sony’s SmartBand and SmartWatch wearables. You’ll also get several proprietary Sony apps and software tweaks. Shield Portable: Nvidia hasn’t forgotten about its original portable gaming device. Upgrade version 99 fixes some battery issues and squashes several bugs, hopefully creating less hiccups for your gaming sessions. Shield Tablet: Usually we stick to updates here instead of promises, but we like the Shield Tablet so much it’s worth mentioning this one: Nvidia is promising it will get Android Lollipop this month, posting a video that teases how it will look and perform. The erosion of Samsung Electronics Co.’s and Apple Inc. ’s dominance of the global smartphone market accelerated during the third quarter, as Chinese makers of low-cost phones continued to undercut the industry leaders, according to data from three market-share trackers released Thursday. Samsung, the world’s largest smartphone maker by shipments, saw its market share fall to 24.7% from 35% during the three months ended Sept. 30, its steepest decline since it became the industry leader in the third quarter of 2011, according to data provider Strategy Analytics. Upstart Chinese phone maker Xiaomi Inc. rose to third place with a 5.6% share, up from 2.1%, as its global handset shipments more than tripled. Apple remained No. 2, with a 12.3% share, but its market share fell from 13.4% as supply problems held back the shipment of its latest-model iPhones, which went on sale in mid-September. Market-share data released by IDC and Counterpoint Research Thursday showed similar results. The latest data came after Samsung posted Thursday a sharply lower third-quarter net profit as intensified competition from Chinese smartphone makers hurt the South Korean technology giant’s mobile business. Linda Sui of Strategy Analytics estimated that Xiaomi was the fourth-most profitable handset maker in the third quarter, trailing Apple, Samsung and LG Electronics Inc. Xiaomi’s preference for low-cost online distribution channels instead of bricks-and-mortar shops helped its profitability, she said. 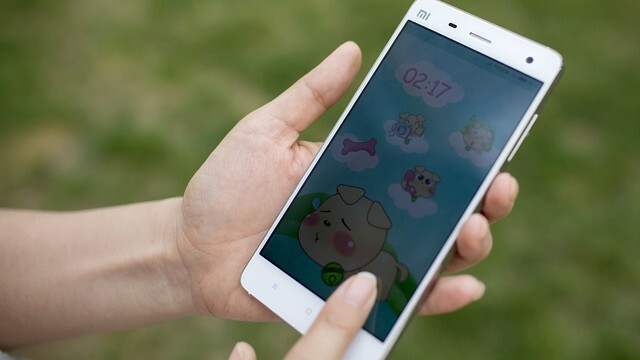 Xiaomi, which means “Little Rice” in Chinese, is known for its marketing savvy. The Beijing-based smartphone maker, founded in 2010, has been growing quickly across Asia by selling low-cost handsets that don’t skimp on features, and has created a cultlike fan base among early adopters of new gadgets. The company has also used social media in growing its popularity. Chairman Lei Jun, who has often been compared with Apple’s late founder Steve Jobs for his presentation style at product launches, has more than 11 million followers on China’s Twitter -like platform, Sina Weibo . Looking to expand its business overseas, Xiaomi last year hired Hugo Barra, who was an executive at Google ’s Android business. The company has expanded into Taiwan, Hong Kong, Singapore, Malaysia and India. During the second quarter, Xiaomi overtook Samsung as the top smartphone maker in China, the world’s largest smartphone market by shipments, according to market research firm Canalys. Xiaomi has been expanding into other markets outside China, including Singapore, Malaysia, India and Indonesia and has been borrowing money to fund the expansion. But industry observers say that despite Xiaomi’s popularity on its home turf, it will face challenges getting consumers familiar with its brand overseas, where it remains relatively unknown. Lenovo Group Ltd. and Huawei Technologies Co., meanwhile, have been expanding aggressively outside China. Lenovo’s smartphone sales have been growing fast in Southeast Asia and Eastern Europe, while Huawei has been increasing its presence in the Middle East and Africa as well as Latin America. In emerging markets, both Huawei and Lenovo are challenging Samsung’s dominance by selling inexpensive models with competitive technological features. IDC said Samsung’s third-quarter market share dropped 8.7 percentage points to 23.8% as its shipments fell 8.2% from a year earlier. Apple’s market share fell to 12% from 12.9%, while Xiaomi came in third with a market share of 5.3%, up from 2.1% a year earlier. Lenovo ranked fourth with a market share of 5.2%, up from 4.7%, followed by LG’s 5.1%. Lenovo’s market share is expected to rise after it completes the acquisition of U.S. handset maker Motorola Mobility later this year. Counterpoint analyst Neil Shah said Samsung has been losing market share at every price point: in the premium segment to Apple; in the middle tier to Xiaomi, and Huawei; and in the bottom tier to Lenovo and a number of local brands such as Micromax in India and Mito in Indonesia.